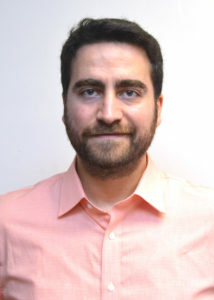 Mohamad Habes, PhD, is a Penn Memory Center Scholar and an Instructor in the Department of Radiology at the University of Pennsylvania. Dr. Habes obtained his undergraduate degree in Computer Science from Stuttgart, Germany in 2008. He completed in 2010 a master’s degree in Medical Computer Science from Dortmund and the Institute of Neuroscience and Medicine in Jülich Research Center, Germany. By the end of 2014, he obtained a Doctor of Natural Sciences of Medicine Degree in Medical Image Analysis for large-scale population studies from the University of Greifswald in Germany. To the end of his PhD, he achieved the Young Scientist Promotion Award of the Alfried Krupp von Bohlen und Halbach Foundation to conduct research on novel neuroimaging techniques for the aging brain in the Radiology Department at the University of Pennsylvania. In 2017, he was appointed to the position of Instructor in the Department of Radiology at the University of Pennsylvania. Dr. Habes leads an interdisciplinary research program whose translational scope includes medical image analytics and population neuroscience. Dr. Habes has been playing a leading role in a large consortium, named iSTAGING, which brings together more than 15,000 MRIs into a big-data-analytics paradigm aiming to characterize typical brain aging. Dr. Habes also leads efforts to relate deviations from typical brain aging with cognition, genetic risk factors, and clinical risk factors. This is one of the largest efforts internationally to leverage advanced analytics to characterize the heterogeneity of brain aging. Moreover, Dr. Habes has particular interest in the role of cerebrovascular disease in advanced brain aging and dementia.